We all knew this day had to come, but there was no way boxing could ever be ready for it. Muhammad Ali without question the biggest, most significant figure to ever emerge from the world of pugilism and arguably in Modern history, has died. He was 74-years-old. Words can never do the career and accomplishments of Ali justice. He was much more than just a boxer, and yet he proved himself one of the greatest of all times. How many manage to be one of the best ever in their chosen profession, and at the same time excel at being a political figure, an international celebrity, and a catalyst for social change? Ali’s immense influence goes far beyond boxing, beyond sports, into the realms of religion, racial conflict, global politics and war. As a boxer, Ali demonstrated astonishing skill, courage and competitive spirit. He fought in the deepest heavyweight division of all-time, and emerged as its dominant champion. Few fighters at any weight in boxing history have had to face a trio as formidable as Sonny Liston, Joe Frazier and George Foreman; Ali defeated them all. And then went on to score victories over a long list of capable contenders: Jerry Quarry, Floyd Patterson, Cleveland Williams, Jimmy Ellis, Oscar Bonavena, George Chuvalo, Ron Lyle, Earnie Shavers, Ken Norton — all dangerous and successful fighters, all vanquished by Ali. Beyond his athletic accomplishments, Ali embraced the volatile politics of his time to become one of the most significant figures of both the Civil Rights and anti-war movements. He refused to be inducted into the United States army for the war in Vietnam and was immediately arrested. Shortly after, his boxing license was suspended and he was stripped of his world championship. For three-and-a-half-years Ali could not compete When he finally returned, his exile had only made him more significant, larger than life. He had become a living, breathing rebuke to the political establishment, a symbol of racial division and a global celebrity all rolled into one. His career was now freighted with political significance and his most high-profile matches were about more than boxing. Amazingly, this massive pressure only inspired Ali to greater heights. After losing to Frazier in 1971 in one of the biggest global sporting events of all-time, he went on to finally regain the heavyweight title by upsetting George Foreman in 1974. Herewith, personal remembrances of the life and career of Muhammad Ali by serious boxing fans, our contributors, all of whom understand quite well the huge debt the sport, and thus all of us, owe him. There are few words that can do justice to Muhammad Ali. The superlatives just don’t fully encapsulate the enormity of the life he led. 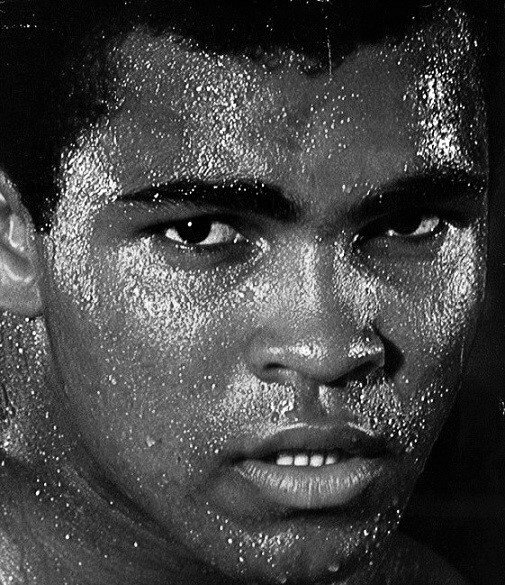 A legendary heavyweight whose skills were unrivalled, Ali blazed a trail all his own. The Rumble in the Jungle, The Thrilla in Manila, The Fight of the Century: these are some of boxing’s most memorable bouts, but they were more than just fights; they were events which transcended sports. Ali was more than just a boxer, he was a man of conviction. He showed how to stand up and fight for what you believed in, and for the African-American people he was a pillar of strength, an unmovable object against the racism and tyranny of his time. Muhammad Ali wasn’t a perfect man; none of us are. He was, however, a great man and will be remembered for much more than his heroic feats in the ring. Float like a butterfly, sting like a bee was one of Ali’s most famous sayings, and today we all feel a sting, one of loss. Ali’s contribution to the world, never mind boxing, was immeasurable. It is not hyperbolic to say that he walked as a giant among men. He gave himself the name, then did the impossible and lived up to it: The Greatest. Rest in peace, champ.